Values of old Lincoln pennies span a huge range. 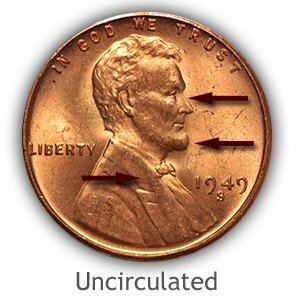 Date and mintmarks combined with the How to Video - Grading Lincoln Wheat Pennies finds an accurate value of your coins on the charts. Many of these popular Wheat pennies survive today; all are now worth a minimum of 2 to 5 cents each. However, above average grade examples (light wear, full wheat lines showing, etc.) are judged individually. These premium grade pieces are valued higher and considered as likely candidates to include in a collection. 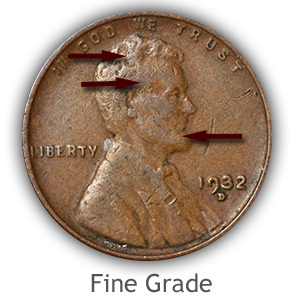 Details needed to accurately grade Wheat pennies are highlighted in the video and the following descriptions. 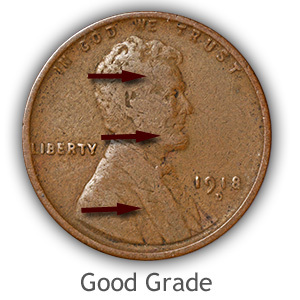 Grading Lincoln Wheat pennies is a process of comparison, judging the condition of your old penny and assigning a "grade." 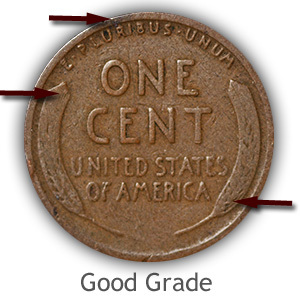 Subtle changes to the amount of wear - if any - to the surface of the coin determines each grading and value category. A desirable coin because no wear is affecting the surface. This wheat penny, despite its age is graded as "Uncirculated" condition. With a magnifying glass examine Lincoln's cheek and jaw to confirm no signs of wear (a dullness and smoothness) is visible. Minting imparts a distinct luster and grain to the surface of coins, wear can appear as a somewhat glossy or smooth area and sometimes with dullness to the surface. A certain amount of redness and brown in color change to the copper is acceptable in the uncirculated grade, the key however is - no wear. 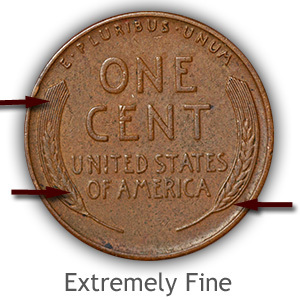 Here is a Lincoln cent in the "Extremely Fine" grade. 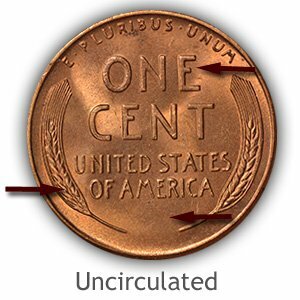 After a coin spends just a short time in circulation wear begins to remove the highest points. Additionally the bright copper luster fades and turns a light tan to brown. Wear has removed some metal from this coin; evident in the hair, cheek and jaw, however most of the small fine details do remain. Confirm the following points are visible on your coin. Next to judge is a moderately worn Wheat Cent in "Fine" condition. Many dates in this grade are valued quite high, notably the early mint marked issues. This remains an important grade to judge carefully. 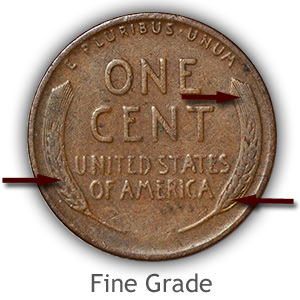 A quick pass to see if your coin is the "fine" grade is to check the reverse. If some of the parallel lines at the ends of the stalk are visible it is worth taking a closer look. Grading Lincoln Wheat pennies and setting aside those with a full to partially separated cheek and jaw finds the better condition and value coins. However, once a coin becomes worn to just an outline of the major details its condition is in the "Good" grade range. This coin is an example of a nice "good" condition Lincoln cent. Grading Lincoln Wheat pennies is essential, although admittedly - tedious. Persistence on your part, especially if dealing with a large quantity of coins, does pay dividends. In today's market, any wheat cent dated prior to 1940 is worth a second look. 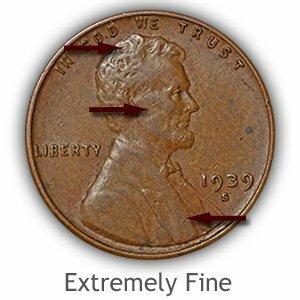 Visit the in-depth penny grading videos, combined with enlarged images and detailed descriptions. Dates and mintmarks on the coins are only part of penny value. 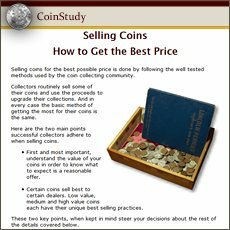 Follow the steps to grading condition and it leads to how much your coins are worth, accurately. Finding better quality, lightly worn Wheat pennies with most of the original detail remaining is a challenge. Few were spared heavy use. Combine the scarcity of nice examples and serious collectors wishing to add these to their collections and Lincoln penny value in top condition is strong. All old US coin values. 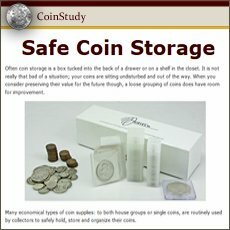 Use this page as a starting point, it is an excellent index with images and text links to all coin series, from Cents to Gold. Value charts, grading images and descriptions uncover not only Lincoln penny value but, how much in total, your box of old coins is worth.